The assembly line at Brampton Assembly Plant. The majority of vehicles built there are shipped to the United States. OTTAWA — The Trump administration heard plea after plea Thursday from the American automotive sector to back away from its threats to slap punitive tariffs on U.S. imports of vehicles and parts. Leaders representing different pockets of the domestic auto industry and related sectors sent warnings about duties that they warned would hurt competitiveness, drive up prices on cars and trucks and trigger major job losses. The officials made their cases during U.S. Commerce Department hearings into whether the duties should be applied based on the premise auto imports pose a national security risk to the country. "We appreciate the desire to strengthen our trade agreements to better achieve a level playing field — but tariffs are the wrong approach," said Jennifer Thomas, vice-president of federal government affairs for the Alliance of Automobile Manufacturers. "The opposition is widespread and deep because the consequences are alarming. Higher tariffs will harm American workers, families and the economy. Simply put, tariffs are a massive tax on consumers." The testimony in Washington will be closely watched by auto industry officials, policy-makers and economists in Canada, where many fear the tariffs would also deliver a huge blow to the economy. 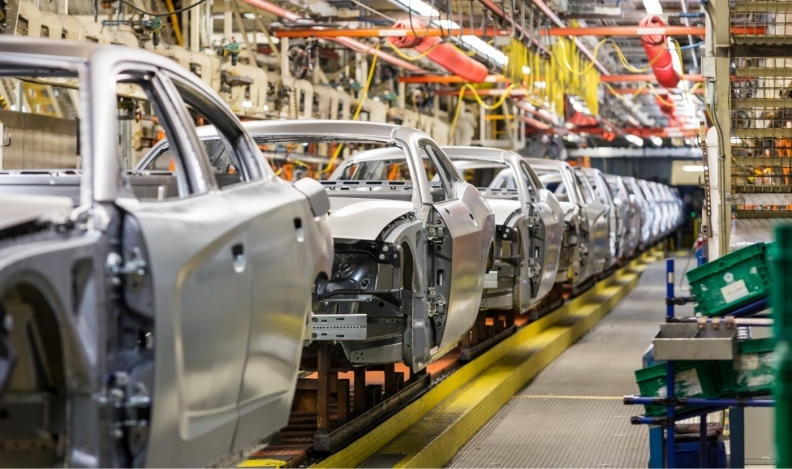 Putting levies on the highly integrated, economically critical North American auto industry and its supply chains would lead to large-scale layoffs on both sides of the border, numerous experts have argued. Many believe the overall Canadian and American economies would be dragged down by tariffs, which would reach well beyond the thriving auto sector. "I made it clear at today's hearing that we must keep the automotive industry and its workers — on both sides of the border — top of mind in our decisions," Wilson said in a statement after testifying. "Workers are the backbone of our integrated auto sector. The imposition of trade measures, such as tariffs, would disrupt the sector, lead to significant negative economic impacts, and threaten job losses for the industry in both Ontario and the United States." President Donald Trump has proposed auto tariffs of 25 per cent on cars and parts entering the U.S. in a decision he insists would help American workers. His administration has expressed concerns that, for decades, foreign imports have eaten away at the U.S. auto industry. In remarks Thursday to open the public hearings, U.S. Commerce Secretary Wilbur Ross said "it's clearly too early to say" if the investigation will ultimately result in a recommendation that tariffs be introduced based on national security grounds. "But President Trump does understand how indispensable the U.S. automobile industry is," Ross said. For the next few hours, close to two dozen industry leaders each tried to drive home the sector's importance as they urged the administration not to follow through on the tariffs. Ann Wilson of the Motor & Equipment Manufacturers Association testified that the tariffs would lead to significant job cuts within six months of their application and delay or eliminate research and development. Wilson warned that if tariffs were to make auto components too costly, suppliers and vehicle manufacturers would be forced to move production outside the U.S.
Bottom line, she said, the tariffs would "weaken the U.S. economy." In his remarks, Peter Welch of the National Automobile Dealers Association argued there's no basis to the argument that auto imports are a national security threat to the U.S. and he warned tariffs would inflate the cost of vehicles for American consumers. Out of all the witnesses Thursday morning, only one voiced support for auto-tariff investigation. Jennifer Kelly, director of research for the United Automobile Workers, said decades of weaker investment as well as the movement of auto jobs to low-wage places like China and Mexico by U.S. corporations has weakened the country's security. It has also hurt American families and communities, she argued. "We believe a comprehensive investigation into the impact of the loss of auto-manufacturing and its consequences for our national security and economic well-being is long overdue," said Thomas, who also called for a careful study before the administration takes any steps that will affect the complex global industry. "We caution that any rash actions could have unforeseen consequences, including mass layoffs of American workers. But that doesn't mean we should do nothing." The debate over auto tariffs is in the spotlight at a deeply uncertain time in the Canada-U.S. business relationship. The neighbours are already engaged in an unprecedented trade dispute after the Trump administration imposed steel and aluminum tariffs, which prompted Canada to retaliate with reciprocal duties of its own on imports of the metals as well as other consumer products. Trump's steel and aluminum tariffs are based on the premise that they represent a national security threat — the same assertion under investigation for the proposed auto duties. This week, the U.S. announced another national security probe into possible duties on U.S. uranium imports. The stalled renegotiation of the North American Free Trade Agreement, which also includes Mexico, has created additional unknowns for Canadian businesses.